The 2B Sure drinking water disinfection system was kindly provided by Bootswerft Schneidereit. 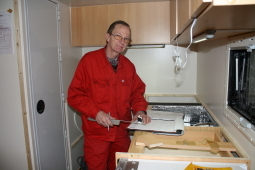 The shipyard exists since 1972 in Stade / Germany and does not only build and refurbish boats but trades in water disinfection systems and boat equipment. More information about drinking water electrolysis in „interior works” and at the 2B Sure homepage. 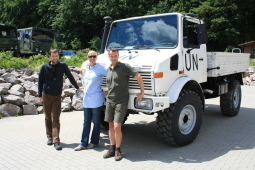 We purchased our Unimog from Hellgeth Engineering Company in Rodacherbrunn/Bad Lobenstein, Germany, who also realized the vehicle’s technical expansion. Increase of engine power, split gearbox, air-cushioned seats, new shock-absorbers and an additional diesel tank that again required a new exhaust are just a few of all modifications. Thanks to Andreas and Juergen for the fantastic car and that you stand by us for all big and little aches and pains. The lacquer works for vehicle, chassis, camper cabin, refrigerator, wash-stand and more were carried out by paint shop Boine in Rothenschrimbach, Germany. Thank you again Michael that you allowed us to occupy your workshop for weeks. Our sincere thanks are directed at Dieter Schlegel, our familiar carpenter who timbered our furniture in hard homework after leisure-time. Everything fits perfectly, we award 5 stars! 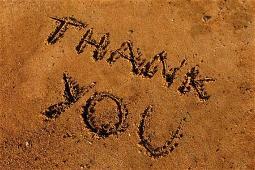 Special thanks go to family Harald Schubert. 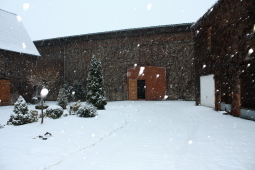 In their weatherproof barn in Kleinosterhausen/Germany we were allowed to work our Arminius up for months. The fondly restored building is open to the public on each first weekend in July during the singing festival of the male choir Osterhausen. From July 3rd to 7th, 2010 the choir celebrates its 120th jubilee together with many other musicians and hopefully many visitors. Many thanks as well to all not mentioned companies, craftsmen, tradesmen, who first enabled the world trip: With a view to our major project they granted us markedly fair prices and ulterior help!